Yesterday, BK-One posted this excellent rundown of some of the great music released here in the Twin Cities just in the past couple of months (including new stuff from Lady Midnight, Meta, 9th House, ZULUZULUU and more). I wanted to highlight a few projects I've been listening to lately, especially ones that may have crept under some listeners' radars. I can say from a decade-plus of experience: the temptation that indie MCs face to be “intense” can be overwhelming. Rapping kind of fast, kind of loud, kind of angry (or, alternatively, doing a lot of turn-up songs) is a quick way to get audiences who may not care about who you are or what you have to say to pay attention (that’s most audiences, by the way, at least until you break). I’m obviously guilty of this; not that it’s necessarily a bad thing-- I mean, I enjoy being loud and angry on stage. But that pressure to “sound hungry” also closes some potentially compelling stylistic doors. The willingness to break from that mold is probably my favorite thing about Tony the Scribe’s new project. Better known as the MC half of duo Killstreak, Tony is a disciplined writer, excellent technical MC, and an artist very comfortable with conceptuality and storytelling. These are all great qualities, but the thing that sticks out on this project is how intense it is without being “big and shouty.” The intensity is emotional. The intensity is subdued, simmering, evocative. From the intentional pace and conversational tone of “Checkmate” to the barely-there whisper of “Out-of-Doors,” the intensity is earned through the subject matter of the songs as opposed to telegraphed by the hardness of the vocals. I think that there’s an element of theater in being a great MC. We can’t just “say the words;” we have to believe them, embody them. The thing about theater, though, is that there’s a difference between drama and melodrama. When you’re writing songs about heavy topics, and trying to communicate anger, grief, confusion, etc. on stage or in the studio, it can be easy to turn the capital-T Theater element all the way up as opposed to really digging inside yourself and finding the core of those emotions-- their subtleties, complexities, and connections. Tony’s ability to do just that is immediately apparent, even on a four-track EP; I can't wait to hear how these songs sound when performed live. 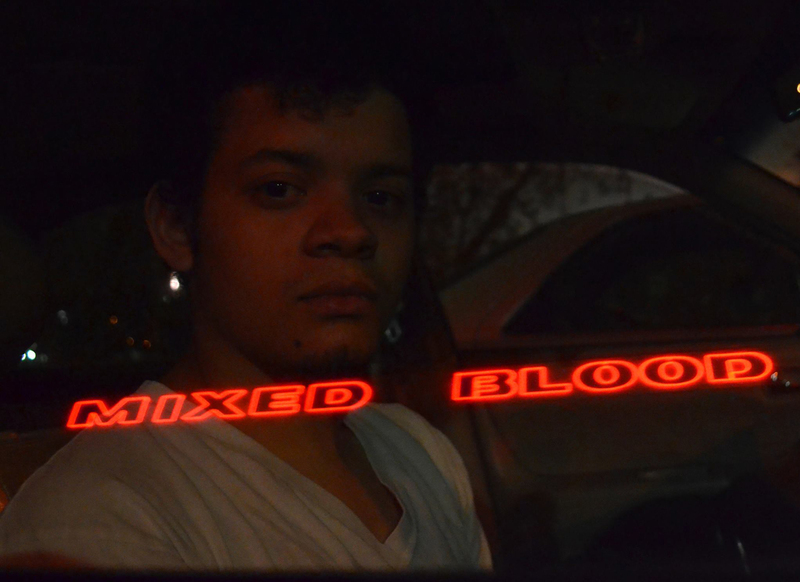 The “Mixed Blood” release show will be Thursday, June 9 at Honey in MPLS. Link for more info. People ask me sometimes: "do you ever get static from talking so much about gender and feminism?" The answer is "not really," for two main reasons. First, I'm a guy, and we're so often socialized to listen to what cisgender men have to say (even when we don't know what we're talking about). Second, artists like Desdamona have been putting in work for years to create spaces where these conversations can happen. 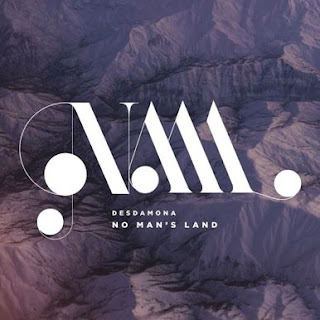 Des has really paved a lot of paths for other MCs in our scene, definitely including myself, so "No Man's Land" really feels like an event, a career-defining album that's been cooking for years. Featuring uniformly knockout guest spots from The Lioness, Tish Jones, BdotCroc, Lydia Liza, Ellis Delaney, Thomasina Petrus and PaviElle, the album has a cypher spirit to it; "No Man's Land" is a celebration. This is aided by the production (via Big Jess and Brady Glenn), which foregrounds the kind of dynamic, jazz-inflected classicist hip hop that we don't hear a whole lot these days. At the center of that celebration, however, is an artist with a chip on her shoulder, and Des' uncanny ability to strike balances-- between explicit and implicit political messages, between righteous fury and genuine hope, between tearing down something negative and building up something positive-- makes this album so powerful. Balance is also a sonic theme, with hip hop bangers like "Year of the Cat" contrasting with moodier, mellower tracks like the gorgeous "Raincoat." For me, this album sounds like the Twin Cities hip hop scene. Not the stereotypical "scene" that a lot of people might imagine, but the actual community-- the open mics, the freestyle sessions, the b-girl jams, the multicultural, multivocal, intergenerational community that Des herself has done so much to help build. "No Man's Land" captures that, while also capturing the fact that so much of what makes our scene so special is driven by women's contributions to it-- both on stage and behind the scenes. You can get the digital here, but I'd encourage people to get a physical copy of the album here. The art/packaging is gorgeous and really adds something to the musical experience. Jake's been one of my favorite local MCs for a minute. 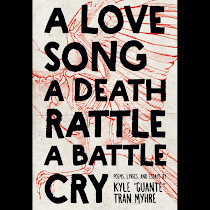 It's one thing for an MC to be explicitly radical, but to imbue that radicalism with both genuine heart and a deep respect for the culture is something special. Jake is one of the best examples of the advice that so many teaching artists share with students: write from your own experience; don't try to tell other people's stories for them. Tell yours. This album explores working class, European-American identity in the context of the Black Lives Matters movement, the rise of Trump, and segregation and strife in Minneapolis, but it does all this in a refreshingly human, down-to-earth way. 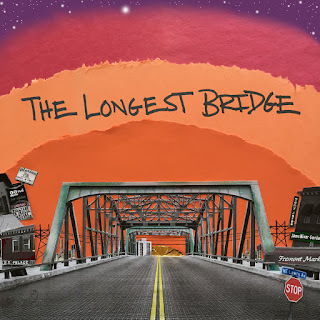 Produced by Mamadu (aka Toki Wright), "The Longest Bridge" refers to the Lowry Bridge connecting North to Northeast Minneapolis. It's a powerful overarching metaphor that touches on both the problems in our city but also the possibilities brought to life through solidarity and collective action. 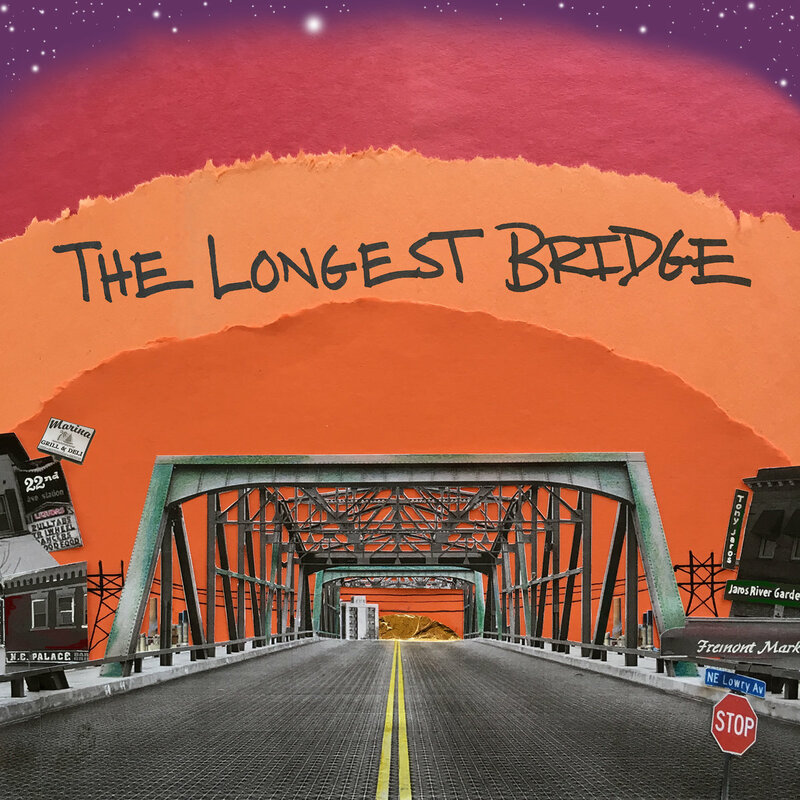 As Jake himself writes: "The Longest Bridge is a reference to the complex relationship between North and Northeast Minneapolis, between working class European Americans, African Americans and immigrant communities from around the world that call Minneapolis home. As the neighborhoods on both sides of the bridge are becoming prime real estate we are lifting up the stories - the good, bad, ugly and beautiful - of the working poor communities that raised us on that turf." I worked with Jake on the song "One Bad Cop," and the reason I wanted him on that track is that there's a furious specificity to his politics-- he doesn't make "conscious rap" in the vague, half-baked way that the term if often used. He has a focused message, and it's one that he's able to bring to life through technical skill, compelling imagery, and the kind of life experience that comes from truly walking the walk. Get the album here. When I was first getting started as an artist, I didn't really understand why artists like Talib Kweli pushed back so hard against being pigeonholed. I alway just figured it was people appreciating an aspect of what you do really well. The more experience I get, however, the more it becomes clear: when so many music writers and bloggers (and, by extension, listeners in general) "skim" through music, an artist really only gets to have one "thing." You're a vicious punchline rapper. You're a throwback backpacker. You're a gangsta rapper. You're a "femcee." You're a conscious revolutionary. Being multidimensional might help your art, but it often doesn't help your career, unless that multidimensionality itself is easily packaged and consumed. Especially when you're still indie; Kanye might get to be "complex," but the rest of us, fighting for clicks, listens, and reviews, need a more defined hook (or so the conventional wisdom goes). I'm thinking about all that in the context of Maria Isa. If you're a casual listener (or a music reviewer who only has 150 words to work with for a review), you might focus entirely on her "SotaRican" identity or bi-lingual rapping. And sure, those elements are present in the music. But I'm also interested in what people might miss, like the fact that Maria is a top-tier MC with tons of compelling, concrete, unique images; or that she's a fantastic singer with the kind of pop sensibility that could blow up any day; or that her politics are sharp and venomous and unapologetic; or that she's one of the best live performers in our scene; or that she's a skilled songwriter able to organically mix the personal and political; and on and on. It's worth noting: a relatively popular local artist whom a lot of people already love can still be extremely slept-on. Sometimes a mixtape isn't the best intro to an artist; it may make more sense to start with an album. 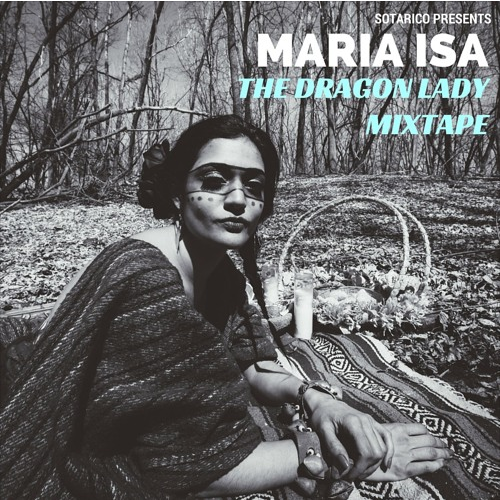 But this mixtape manages to showcase Maria Isa's many strengths. Where "there's something for everyone" often translates to "this is a mess with no flow or consistency," "The Dragon Lady Mixtape" avoids that; Maria Isa's voice (both literally and figuratively) binds everything together. Also, you can dance to it. Hopefully this can be a gateway for people to all of her work. Listen to the whole mixtape here. A final note: thanks for reading this. I mean, thanks for reading anything that I write, but specifically: when it comes to indie hip hop, we really can be our own media. Word-of-mouth is so important, so I'd encourage others to write up reviews of stuff, or share existing ones, and not depend wholly on existing channels. Hope you find something you like here. You inspire me. Ten responses to the phrase man up is the most beautiful thing I have ever heard. I wish more men thought like you.